During Canada’s 2015 federal election, you couldn’t open a newspaper or turn on the TV without hearing the party leaders talk about Canada’s infrastructure. Crumbling bridges, pot-holed roads, overcrowded transit systems, and patched-up water systems were regularly highlighted at campaign rallies. Infrastructure quickly became the centerpiece for all party leaders, with all parties promising to invest big dollars across the country. And the investment is sorely needed. According to the Canada West Foundation, Canada’s infrastructure deficit sits around $123 billion and is growing by $2 billion annually. Of all the party leaders, Justin Trudeau promised the biggest investment in his platform—$125 billion over the next 10 years. So pressing was the need that the incoming government took a calculated risk in saying that they would run deficits of $10 billion each year for the first three years of their term to fund their ambitious agenda. With the election now behind us, we will see the newly elected government begin to develop and roll out their plan. They promised predictable funding for all levels of government and will begin with an explicit focus on public transit; social infrastructure; green infrastructure; and strategic and trade enabling infrastructure priorities, including roads, bridges, transportation corridors, ports, and border gateways. This $125-billion commitment is almost double the $65-billion committed by the previous government. An additional $60 billion has been promised in dedicated funding for public transit, social infrastructure, and green infrastructure. Much of this will be targeted at municipalities who are earmarked to receive an extra $20 billion for public transit infrastructure in the next decade. A further $20 billion will be dedicated to social infrastructure, including affordable housing and seniors’ facilities, early learning and child care, and cultural and recreational facilities. Green infrastructure, including local water and waste water facilities, climate resilient infrastructure, and clean energy, will also receive an additional $20 billion. In the run up to the election, there was friction between the federal government and provinces and municipalities over how federal funding was being allocated for projects. The new government has promised they will leave it up to the provincial and municipal governments to determine how they spend this federal money. They have also committed to increase the transparency of the New Building Canada Fund. This would include providing clearer project criteria and faster approval processes, prioritizing investments in roads, bridges, transportation, ports and border gateways. The funding for public transit would be distributed to the provinces and municipalities in a similar way to the federal gas tax transfer. A promise to deliver clean drinking water to 93 First Nations communities within five years is likely to cost in excess of $1.2 billion according to some estimates. In Manitoba, Trudeau committed to supporting the construction of the $3-billion East Side Road, which will connect remote First Nations communities. There have also been hints of support to develop infrastructure needed to extract mineral resources in Northern Ontario and Quebec. With infrastructure, the challenge has always been to make sure that the important less glamourous work is done. While there were quite a few announcements about new transit investments, there was less emphasis on the specifics of addressing the very serious needs in water and waste water infrastructure. Expect to see the government to pay attention to the demands of smaller municipalities as they cannot appear to be favouring the needs of the large cities. Trudeau will be aware of the optics of his infrastructure investments and will rely on provinces and municipalities to determine their priority projects. With this level of funding being promised, it will require discipline and planning on the part of provinces and municipalities to make sure that money is well spent. With historically low interest rates, they have suggested now is a good time to invest to stimulate the economy in the short term and help provide a long-term benefit for the Canadian economy. As well as running a deficit, there were some other ideas in the Liberal platform. Prime Minister Trudeau talked of exploring the possibility of finding ways to encourage Canada’s big institutional investors, such as the major private pension funds and insurance companies, to invest in new infrastructure. Typically, these investors have focused on financing assets that have already been built, but the Liberals hope that by providing Federal government guarantees for loans to municipalities, it will reduce the risk to a more acceptable level for investors. They also hope that by bundling projects into packages that provide the scale of project that would make the investments attractive for these long term investors. 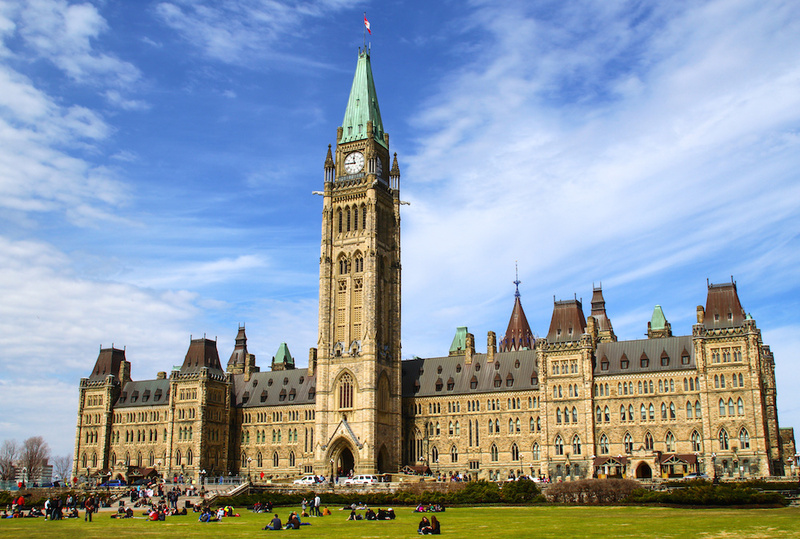 The creation of a Canada Infrastructure Bank has also been touted as a vehicle to use the countries strong credit rating to make it more affordable for municipalities to build infrastructure. The bank would provide loan guarantees and small capital contributions to provinces and municipalities. Taking a leaf out of the Ontario Liberals’ book, Trudeau has proposed the use of green bonds to support the development of renewable energy projects. Finally, the government has committed that any budgeted funds for communities that go unallocated are automatically transferred to the communities they are meant to be benefiting. Prime Minister Trudeau has made his position clear on the use of public-private partnerships (P3s) to deliver major infrastructure projects. Speaking at the 2014 Canadian Council on Public Private Partnerships, he announced that P3s will be a critical element in delivering on his promises, and invited the private sector to come up with innovative solutions to finance and build public infrastructure. The line that attracted attention in the mandate letters sent out to ministers in November 2015 was a commitment to remove the P3 screen as a condition of federal funding (meaning projects that wanted federal funding had to be examined to see if they would be better suited to be delivered through a P3). Although at first glance this seems like a blow for the P3 model in Canada, the reality is that most jurisdictions that are looking to build big complex projects already see the value of using P3s, so the likely impact of removing that requirement may be limited. Right now, things look very promising for the infrastructure sector in Canada with a big pipeline of projects and the money committed to pay for it. Importantly there is probably more alignment than ever before between different levels of government on what needs to be built and what the main priorities should be. If you build stuff, it should be a busy few years ahead. TORONTO: They reaffirmed the federal government’s promise of $2.6 billion for SmartTrack, and an additional $2 billion for GO regional express rail electrification. This comes in addition to the funding already committed to the Scarborough Subway extension. There is also a long list of LRT projects at various stages of planning around the Greater Toronto and Hamilton area that did not receive specific commitments, but will be high on the list of requests. MONTREAL: They promised to help fund Montreal’s rapid transit expansion and a light rail project on the Champlain Bridge connecting downtown Montreal to the South Shore. Trudeau also committed to stop a planned toll system to pay for the Champlain Bridge. VANCOUVER: Funding for the $2.1-billion Broadway Corridor subway in Vancouver and a $2.1-billion light rail project in Surrey is still in the cards. Trudeau also highlighted increased SeaBus service as a priority. CALGARY: The federal government will beef up flood mitigation infrastructure in Calgary and southern Alberta and continue to spend $1.5 billion on the city’s Green Line LRT. EDMONTON: A commitment remains to contribute funding for the $1.8-billion Valley Line LRT extension. OTTAWA: A commitment remains to fund the Federal government’s share of $3 billion for the second stage of LRT development. LONDON: An investment of $100 million was promised to support the development of bus rapid transit. Other projects that have received commitments around funding are the $2.1-billion Gordie Howe Bridge linking Windsor and Detroit. Trudeau also committed to support the National Energy Strategy that is being driven by the provinces, which could lead to further big investments in new generation and transmission infrastructure between provinces.